I’ve heard countless occasions of customers dealing with messes left by previous contractors. So I’m often asked about Clean-up Routines during job progress and at job completion. The son of a mason I grew up in and around the masonry field. My first work experiences were helping my father clean up on site. He used to tell me “Clean up should be as thorough as needed to make it look cleaner than before we arrived.” What he meant was that a finished tuckpointing job, chimney or wall, should look natural and no signs of construction “residuals” should be left around. Sometimes this would mean making the site cleaner than it was when we started. Mortar belongs in joints on your brick or stone structure, not in your yard, on your roof or sidewalk. Dealing with a mess after construction should not be a concern for anyone. Who wants to deal with residual mortar stains on a roof after chimney tuckpointing or pick up mortar pieces from their yard after having their house, porch, walkway or other masonry structure repaired. I wouldn’t and it’s likely you wouldn’t either. Tuckpointing can be a wild mess if proper precautions aren’t taken and cleanup is not regularly maintained. Mortar joint removal, in particular, can send dust flying in all directions. 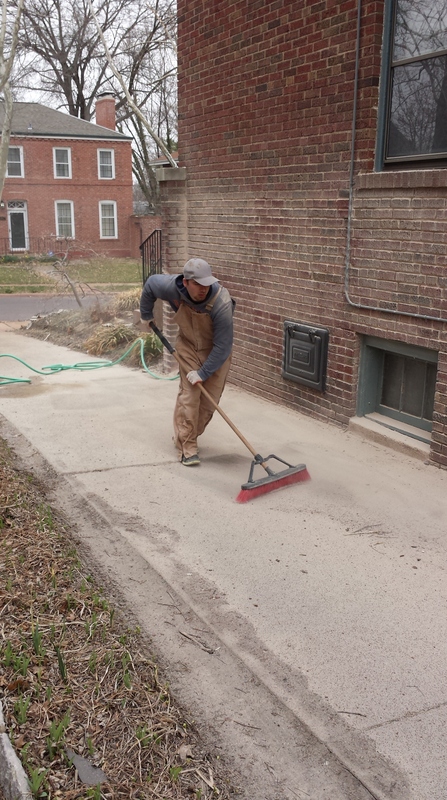 Check out our cleaning process below to learn how we deal with our masonry messes. Dry Cleanups occur at the end of every working day. A dry clean up is accomplished with a broom, shovel and wet/vac. Debris is collected, organized and set aside. Accumulated debris is gathered and stored in 5 gallon buckets until being hauled away. You will not be left with piles of debris to lay around and blow in the wind. Wet cleanups are addressed after dry cleanups as needed. Wet cleanup involves spraying the area with a hose or power washed to thoroughly clean an area to remove all signs of debris. Wet clean-ups occur every day after grinding when possible and as needed, which will vary from every day to every few days. Equipment is stored at the end of each day in a manner to be out-of-the-way and not obstruct any path or area that will inconvenience a customer. Ladders, scaffolding, walk boards and more can cause major safety hazards if left carelessly or stored in high traffic areas. Final clean up involves inspection of completed project and a thorough cleaning of the work area. The job site is cleaned and ALL work related debris leaves the premises. Left only with what you asked for, a completed repair or restoration, you will have no worries with the after-mess of our construction process. Clean-up is a job in itself and shouldn’t be skimped or ignored. You can rest assured knowing that if you hire Atek for ANY job, the mess leaves with us. Thank you for reading. Additional questions or concerns can be answered by reading more of our articles, searching the site or you can contact us with questions, concerns or a need for estimates!! 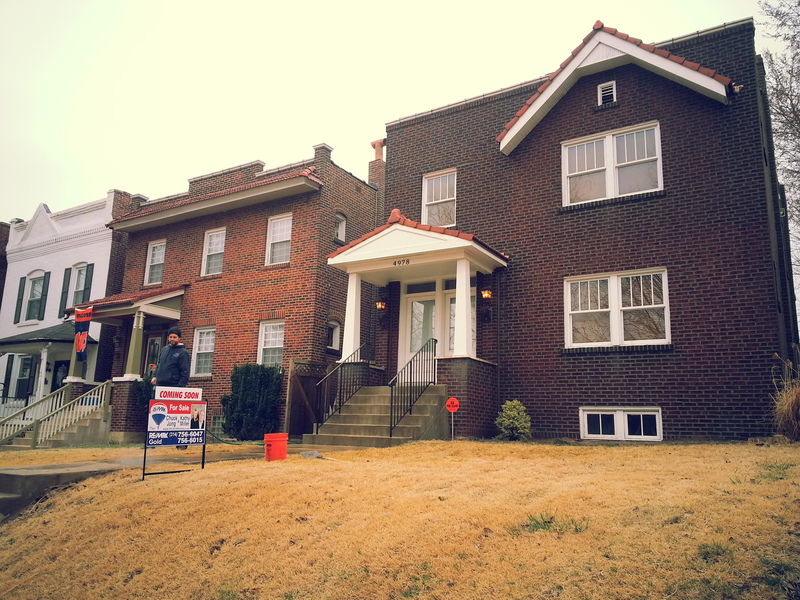 Posted in About our Tuckpointing company, Chimney Restoration and Repair, Tuckpointing, pointing, re-pointing. 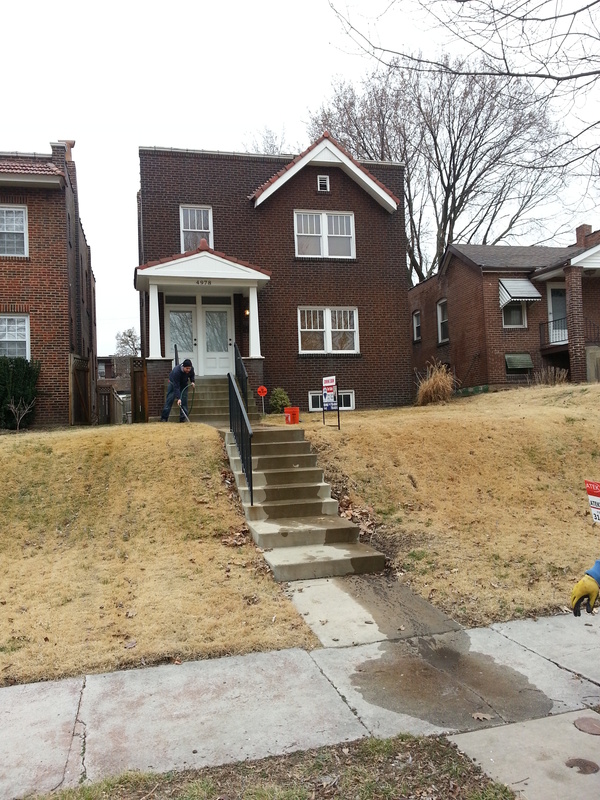 Mortar joint Repairs and tagged Brick, Chimney, clean up, repair, services, St. Louis, tuckpointing on March 28, 2014 by Jacob Thompson.